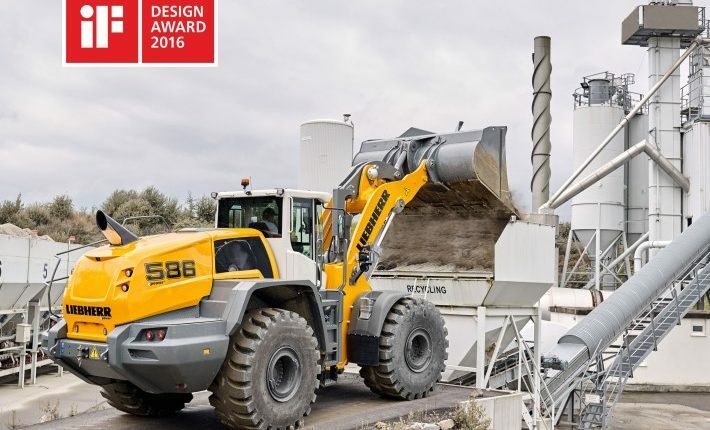 Thanks to sophisticated design solutions, the new XPower® large wheel loaders from Liebherr have received an iF Design Award 2016. Representatives of the Liebherr-Werk Bischofshofen had the pleasure to receive the award personally in Munich on 26 February. XPower® is the innovative machine concept for the new generation of large Liebherr wheel loaders L 550 to L 586. They differ from conventional wheel loaders not only in their use of innovative technology but also in their design. Whilst design development focused on functionality and user friendliness in particular, attention was also paid to the look of the machine. The silhouette is compact and even when not in use these machines create a dynamic and powerful impression. XPower® wheel loaders are among the winners of the renowned iF label. The international high-profile jury assessed more than 5,000 entries from 53 countries in order to determine who would receive this coveted seal of excellence.